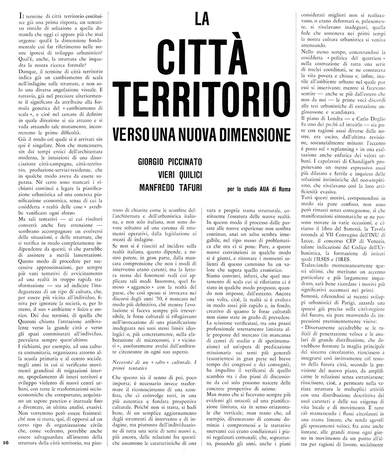 Manfredo Tafuri, Giorgio Piccinato, and Vieri Quilici, page spread of "City Territory: Toward a New Dimension" as published in Casabella 270, December 1962, Italy. Courtesy of Casabella. Beginning with an overlooked essay by Manfredo Tafuri—“Critical Rationalism and New Utopianism: Competition for Restructuring Tel Aviv–Jaffa City Center"—this project explores the architectural responses to urbanization in the 1960s contexts of Italy and Israel. 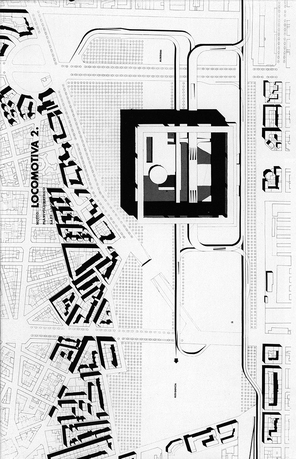 Focusing on competitions that Tafuri was involved in either as a critic or as part of a design team, including the Quartiere Cepalle Barene di San Giuliano in Mestre, Turin City Center, and the Tel Aviv–Jaffa City Center competitions, the project documents how architects imagined the future of the city, especially new city centers and transitional zones, by considering the formal operations of architecture at the scale of the city. 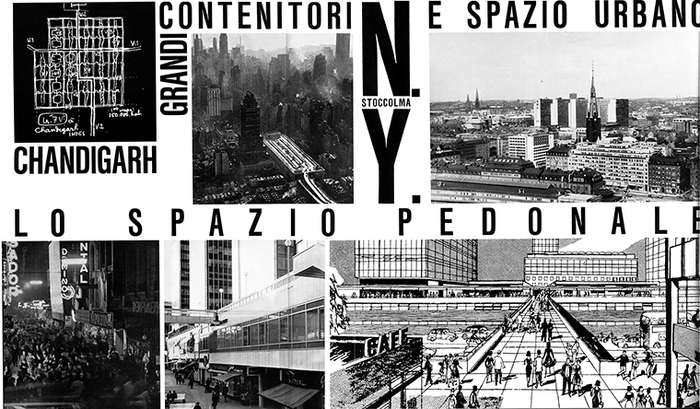 By means of historical analysis, the project critically articulates the notions of imageability, "citta territorio," and public and civic space as prominent concerns of architecture and urbanism, while providing a genealogy of urban interventions that include architectural attempts to respond to things bigger than buildings. Tulay Atak is an architect and an architectural historian whose work focuses on questions of modern urbanism in a global context. She received her professional architecture degree at Middle East Technical University (METU) in Ankara, Turkey, and pursued her PhD at University of California, Los Angeles (UCLA). 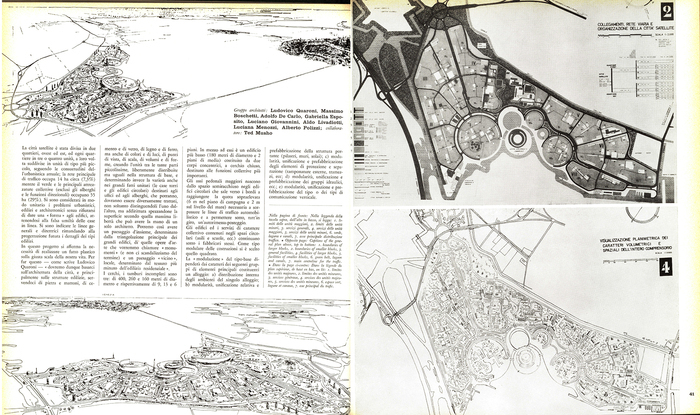 Her dissertation, Byzantine Modern: Displacements of Modernism in Istanbul, considers the place of Istanbul in the making of modern architecture. In addition to her dissertation, she conducted fieldwork in Chandigarh as part of the Getty Research Institute's project on Museology and the Colony. 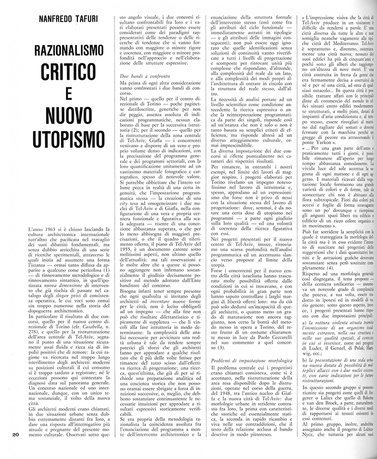 Her writing has been published in several journals, such as Future Anterior, Journal of the Society of Architectural Historians (JSAH), The Journal of Architectural Education (JAE), and Publications of the Modern Language Association (PMLA), as well as in books, including Byzantium/Modernism: The Byzantine as Method in Modernity, L'Invention d'un Architecte: Le Voyage en Orient de Le Corbusier, and No Touching, No Spitting, No Praying: The Museum in South Asia. Most recently, she coauthored Fragile City, a book on the photographs of Le Corbusier's Voyage D'Orient of 1911. She currently teaches at both the Cooper Union and Pratt Institute.